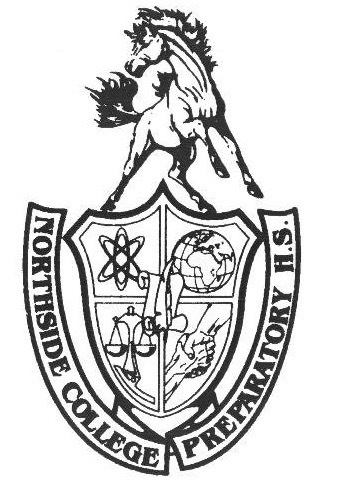 With cheerleading season underway, Northside’s cheer team has been busy preparing for competitions, the most important part of the season. We only see a portion of the routine at pep rally, but the finished routine consists of a verbal cheer, tumbling, jumps, stunting, and a dance portion. On Dec. 9, the cheer team attended the Guilford invite in Rockford, Illinois. It was the team’s first competition of the season and captain, Jackie Rodriguez, Adv. 901, saw it as a “trial run so the new members of the team could be more prepared and have a feel for what a competition is really like.” This competition set the base for the more important ones like City and Sectionals. On Dec. 16, the team competed at the Warren Township invite in Gurnee, Illinois with only a week to make changes. Even though this was not one of the high risk competitions, the team worked very hard to prepare for it. The team has attended this cheer invite in the past, so the veterans on the team already knew what to expect. The majority of the team is new so they had never attended this competition, but after the Guilford invite, the team as a whole was less nervous and have higher expectations for the performance. Rodriguez spoke on the teams’ behalf and said they are all very excited and looking forward to their competitions. The captains expected to place in the top three at the tournaments. The team received feedback from the judges at the Guilford invite and have taken their critiques into consideration. Rodriguez mentioned there is no time to change and add every single element they would like, but felt prepared for Sunday. As expected, the team was able to snag third place.